Laid down, 8 March 1943, at Missouri Valley Bridge & Iron Co., Evansville, IN. 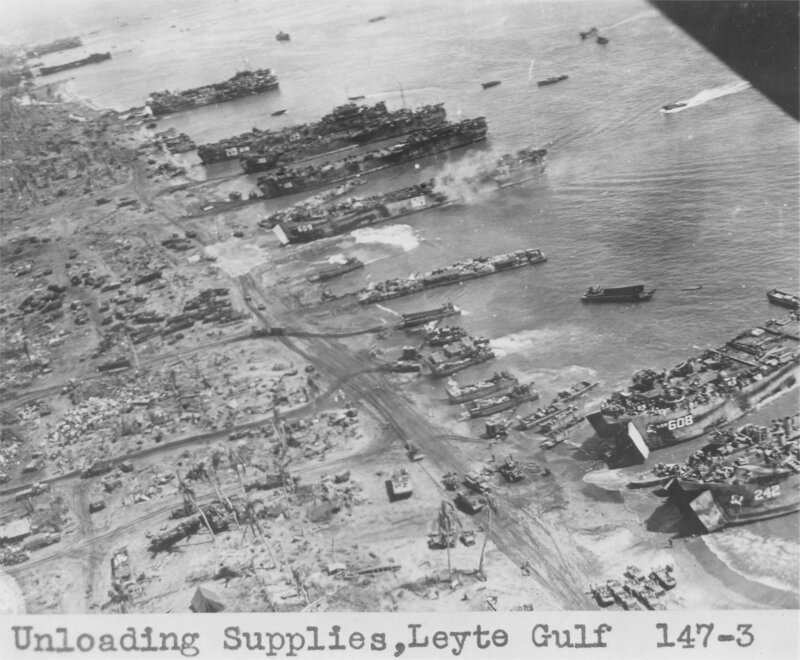 99k LSTs unloading supplies at Leyte Gulf in October 1944. USS LST-242, and USS LST-608 at the bottom of the photo. In the middle of the photo and in the background can be seen numerous small craft along with six additional LSTs. Recognizable are USS LST-609 and USS LST-219. US Army Signal Corps. photo Dave Kerr and Vicki Purl Ferrier-Taylor for Purl Allan Ferrier, Seaman 1st class, SV-6 USNR.